Manhattan School of Music (MSM) and The ELMA Music Foundation, in partnership with the Hugh Masekela Heritage Foundation, will, on April 4th, announce the establishment of the Hugh Masekela Heritage Scholarship at MSM in honor of the legendary South African musician, activist, and life-long advocate and embodiment of African identity, heritage, and expression. The scholarship will allow six South African students to pursue Bachelor of Music degrees at Manhattan School of Music, one of the world's leading music conservatories. 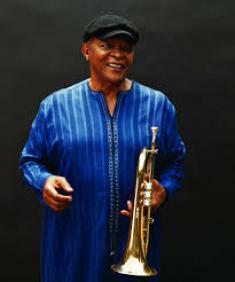 The scholarship, which will cover tuition and all living expenses for each of the six scholarship recipients for their full four years of study, will be announced at the Jazz Foundation's annual gala in New York, which this year honors Hugh Masekela's life and legacy. Mr. Masekela, who died on January 23rd, 2018, studied classical trumpet at MSM for four years in the early 1960's. A principal goal of this new endeavor is to ensure that the Hugh Masekela Heritage Scholarship be awarded to South African students who have faced significant social, educational, cultural, or economic challenges, and who have a demonstrated interest in the advancement of music consistent with Mr. Masekela's legacy and vision. "We are enormously grateful for this scholarship grant and deeply honored to be working with The ELMA Music Foundation and the Hugh Masekela Heritage Foundation to provide an educational and musical home to six South African students whose presence at the School will stand testament to Hugh Masekela's vision and talent," said MSM President James Gandre. "He is one of MSM's most distinguished alumni, and this is an apt extension of both his musical legacy and the important work that he did during his lifetime on social initiatives benefiting South Africans. The Hugh Masekela Heritage Scholars will be warmly welcomed to a vibrant community of aspiring young musicians who come to the School from 45 countries around the world." "We are especially thrilled to honor the legacy and work of this renowned musician and freedom fighter by establishing with Manhattan School of Music and the Hugh Masekela Heritage Foundation an important new scholarship in his name," said Tarik Ward, Director, Music Programs, The ELMA Philanthropies. "This scholarship not only honors the great artist's legacy but also nurtures the next generation of South African musicians and upholds his vision to preserve and promote African heritage, culture, and identity." "It is with gratitude and appreciation that we at the Hugh Masekela Heritage Foundation enter into this partnership with The ELMA Music Foundation and Manhattan School of Music," said Professor Louis Molamu, Chairperson of the Hugh Masekela Heritage Foundation. "We look forward to forging ahead into an exciting musical scholarship reflective of Hugh Masekela's extensive, voracious, and prodigious musical appetites and his passion for inter-generational creative collaboration." who the people of Africa really are."